We’ve all heard the old saying “Perception is reality.” And it’s true . . . to a point. We act on what we perceive to be real and true. That’s functional reality but often, it’s not true reality. The world has always been round but for thousands of years, it was perceived to be flat. Was it ever flat? Nope. Did people live like it was flat? Absolutely. For centuries, people were afraid if they went too far from shore, they could sail over the edge. The first theories of a spherical world showed up in Greek philosophy in the 6th century BC from Pythagoras and later in 330 BC from Aristotle. But only the ‘around the world and back again’ voyage of Magellan in 1521 proved the reality of a round earth. Since then, the earth being round has been inarguable, even though few have personally traveled ‘around the world and back again.’ But unless we’ve personally experienced circumnavigation of the earth, we’re still taking it on faith. Another example: we live in fear of death because we perceive it as a reality. But true reality is that death is a transition from life-to-life, not life-to-death. Jeremiah 1:5a says, “Before I formed you in the womb I knew you . . .” We were alive before we were embodied in the ‘earth suit’ we wear. Then in John 11:25, “Jesus said to her, “I am the resurrection and the life. The one who believes in me will live, even though they die.” So, according to Jesus, we will live after our earth suits give out. Death is not reality . . . it is a perceived reality. We take it on faith. But because Jesus circumnavigated life-to-death, we will too. Let’s bring this principle a little closer to home. 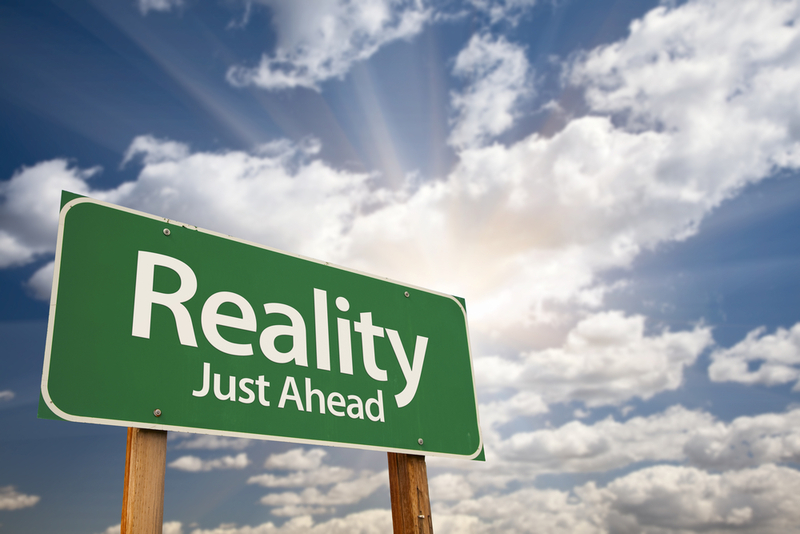 Perceived reality: “My wife just doesn’t love me anymore.” Once we get that reality into our heads, we’re constantly looking for evidence to prove it. Truth might be they don’t love us the way we want to be loved. Their acts of love don’t register with our selfish desires for how we want to be loved. They’re giving us love in pesos. We want it in dollar bills. We don’t value their pesos and are too busy, lazy and insensitive to learn the exchange rate. We just want what we want, when we want it. So while true reality is we’re being loved, we don’t perceive it. And since we can’t truly receive what we don’t perceive, it slips by unnoticed. Her acts of love aren’t valued, so they don’t matter, even though they may have come from a deep love in her heart. The next time you find yourself thinking ‘it is what it is,’ think again. Maybe it’s just what you perceive it to be. Maybe it’s time to talk to a trusted friend and check out your perceptions of reality with someone a little further from the fray. Mentor Tip: Radical Mentoring groups are about dialogue rather than teaching. A dialogue is “an exchange of ideas or opinions on a particular issue.” ‘Di’ meaning two; ‘logue’ meaning truth. Two or more . . . exchanging ideas . . . seeking truth. Beyond perception. True reality . . . from Jesus.